The expanded 18 hole professionally designed Shuswap Lake Estates golf Club offers well bunkered, undulating greens, generous fairways and four beautiful lakes. This scenic course, Par 71, 6467 yards with three sets of tee boxes, provides a variety of challenges for both the accomplished and casual golfer. Practice facilities include a driving range, 2 practice greens, and practice sand bunkers. Situated along Blind Bay, Shuswap Lake Estates Golf Club overlooks Shuswap Lake and the surrounding Monashee mountain range. 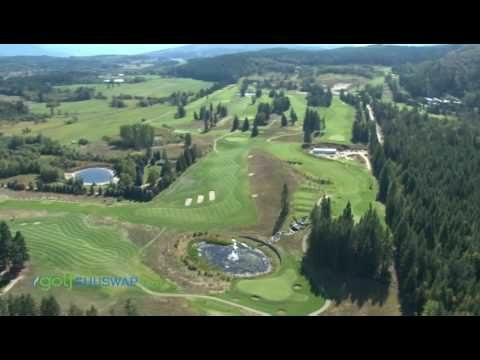 Shuswap Lake Estates is a comprehensive development that offers everything from golf and tennis to sandy beaches and a grass airstrip, all located within one of Canada's most beautiful areas. We also offer a well-stocked Pro shop, club rentals power carts and golf lessons. The practice facility includes a driving range, two practice greens and a practice sand bunker. After a great game of golf, we invite you to relax on the patio overlooking the golf course and enjoy a meal or drinks at Duffer’s Den lounge or the Log’n Hearth restaurant. Minutes away, is crystal clear Shuswap Lake with it's sandy beaches and miles of shoreline to discover. Shuswap Lake Estates Golf Club offers an amazing lifestyle ....Stop by for a visit and stay a lifetime! We love the Shuswap, but we can't understand why this course doesn't do one simple thing to improve itself: speed up the greens. This is in the heart of BC golf country, and ever single competing course offers much faster greens.